20mm Aluminum Crimp Cap Septa ensure that a proper seal is made for this demanding application.The aluminum crimp caps are made of high quality laquered aluminum. Available cap colors are standard silver only, Other colours also available on request. 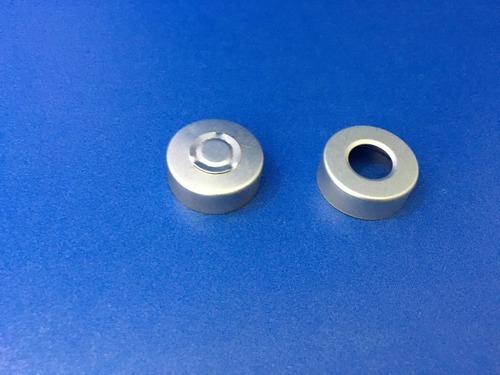 20 mm magnetized and bi-metal caps are also available. Our septa use only the highest quality materials to ensure proper function and can be pre-slit to ease needle penetration. Aluminum crimp caps are available tear-off style and with hole.